The hard drive or hard disk is a magnetic disk in charge of the storage of all available information on a computer. It is permanently stored files and programs, making the hard drive one of the most important parts of the computer. In this article we will know a little more about computers and we will find out some important details about the hard drive. 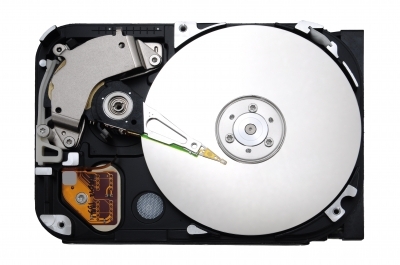 The information in the hard disk is encoded by ones and zeros, which is decoded by means of a magnetic disc surface that rotates at high speeds. The term hard was assigned to make a difference with the widely used at that time floppy disk or diskette. Currently the capacity of hard drives is measured in gigabytes (GB), but when they first became to the market its available storage capacity was not much compared to diskettes. The hard drive is the only element that can be considered simultaneously mechanical and electronic. This is connected to the motherboard. Magnetic surface dishes for recording data. Motor for rotation of dishes. Dust Protector and air filter. Plate: They are each of the discs into a hard drive. Face: each of the two faces that has a plate. Tracks: circles that are inscribed on one face. The track zero is located more toward the outer end face. Cylinder: Multi-track set, taking into account a cross section of the stacked discs. That is, a different track faces. Sector: is each of the divisions of each track minimum. Although the total size is not fixed, taken 512 byte sectors (smallest memory unit). Western Digital, Hitachi bought the manufacturer. Seagate Technology, which owns brands like Quantum, Maxtor and division of Samsung hard drives. Toshiba, owner of the hard disk unit of Fujitsu corporation. Finally, technological advances in the production of Hard Disks have been accelerated both in design and development. The first hard drive was created in 1956, it was called RAMAC I. Its capacity was only 5 MB (megabyte). Today, hard drives are available in capacities of more than 3 terabytes (about 300 000 Megabytes). The rapid technological advances can give us an idea of what we would acquire in a near future. For example, as PMR, which would provide greater storage capacity.